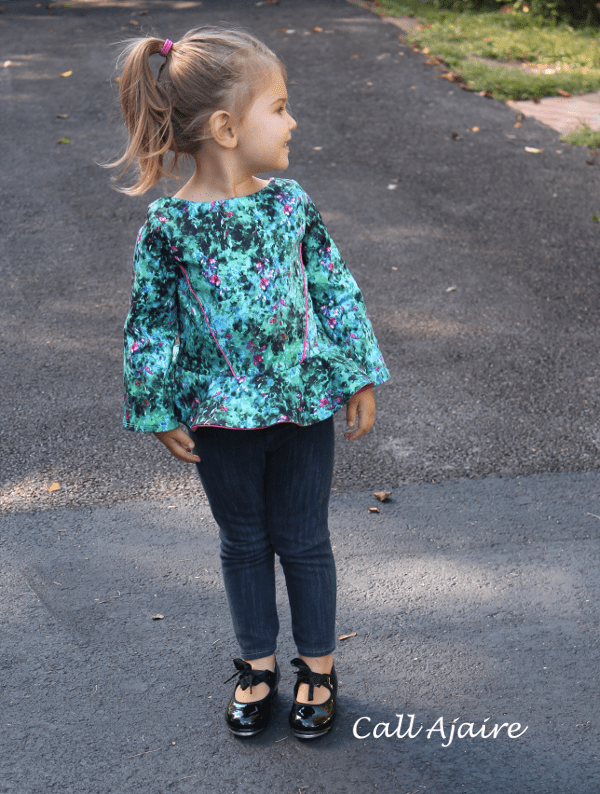 Jessica from Lil Luxe Collection (*affiliate link) released three new dress patterns over the weekend and I was fortunate to help test two of them: the Starlight City Dress (*affiliate link) and the Socialite Peplum and Dress (*affiliate link). 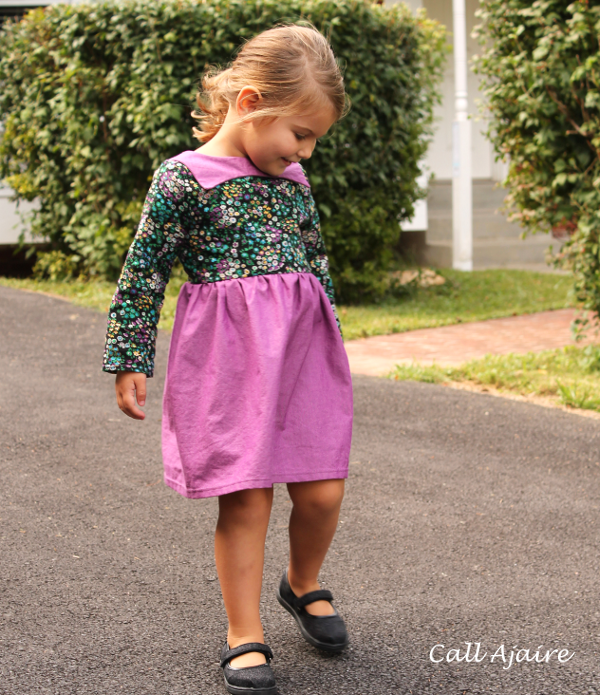 The Starlight City Dress has a fun, star-inspired bib which I could see adorned with beads or sequins for the holidays. But the back features a twist that kind of steals the show. There are short or long sleeve options, but of course I’m leaning toward the long with autumn in full swing here. I used more of the cotton lawn and interweave chambray that I adore from Imagine Gnats. The chambray really shines in person and the combo of a chambray and this floral is a favorite of mine. 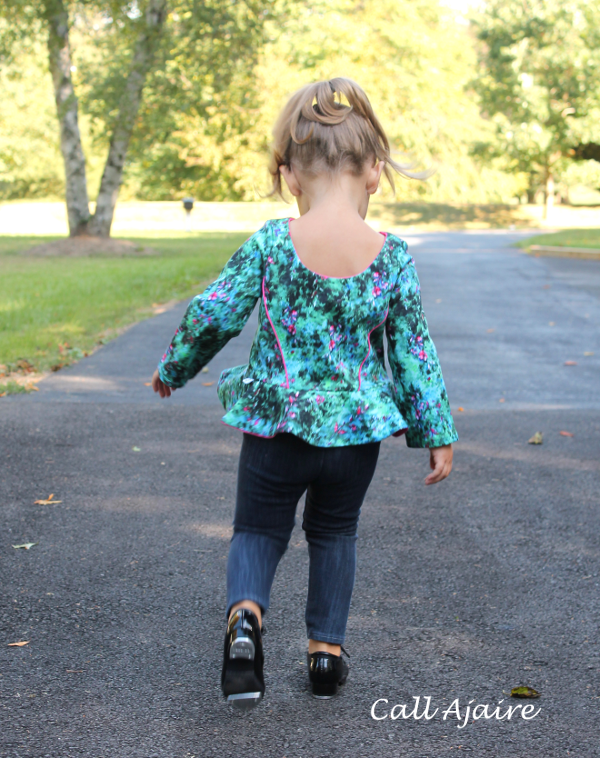 And now for the Socialite Peplum Bubble Dress. I decided to make the top instead of the cute bubble dress so we’d get a little more wear out of it. Again, the back neckline is amazing. 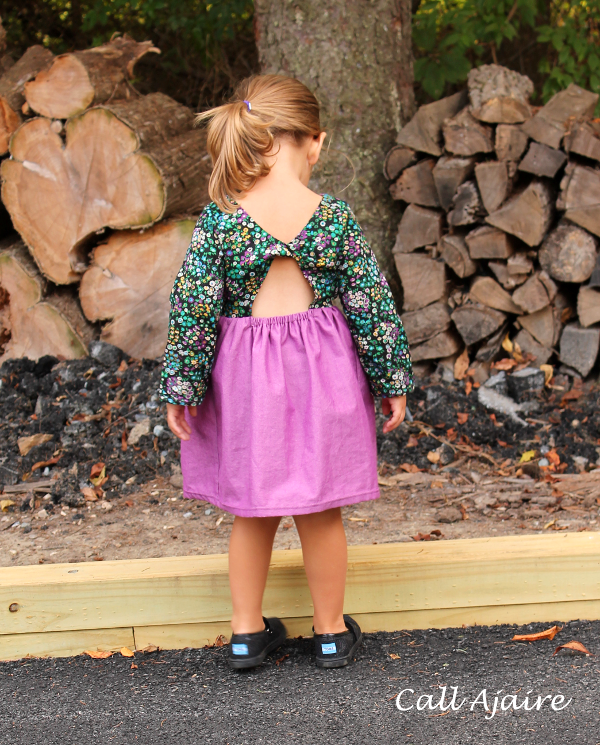 The princess seams on the front and back are sort of a v shape which is a great place to add some piping or you could use different fabrics at the sides for a colorblocked look. I also used a bright pink for under the peplum and for the lining of the bodice so it would peek out from time to time to help make the piping pop. Other options include the bubble skirt (which has pockets!) and short or no sleeves. 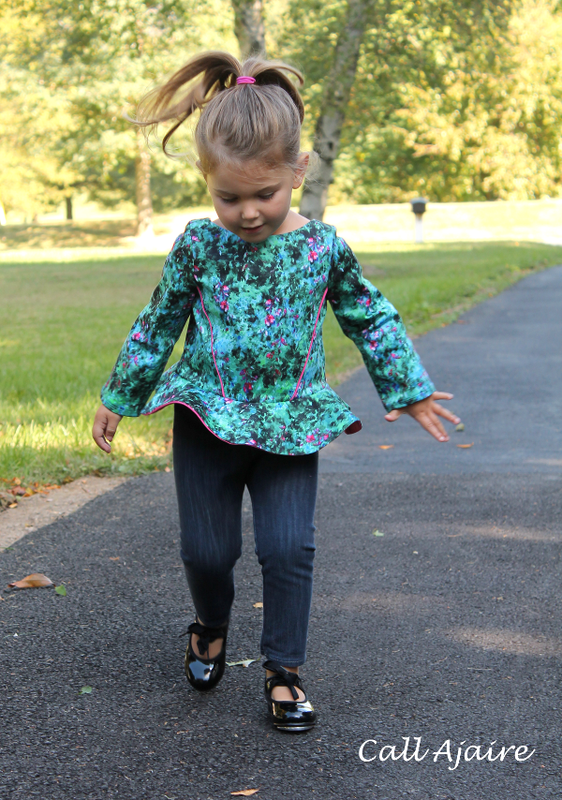 There is also a cool flutter sleeve option that can be layered over the sleeve for an even more fashion forward look. 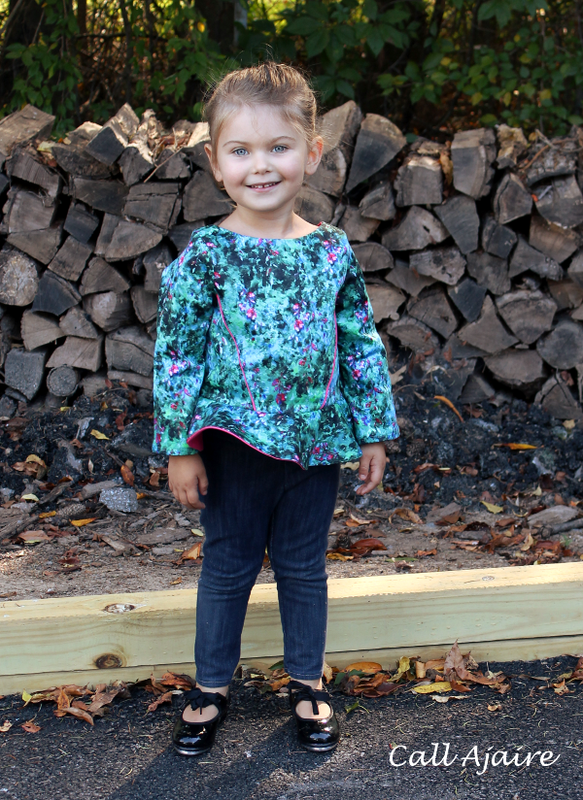 Both patterns are for sizes 18M to 8 years so it’s perfect to grow with your girl. Are you wondering who this new designer is that has burst onto the scene with multiple patterns in such a short time? Jessica has written a short post about it on her blog and there’s even a coupon code you can find there (*affiliate link) good until the 26th of September so I encourage you to check it out. 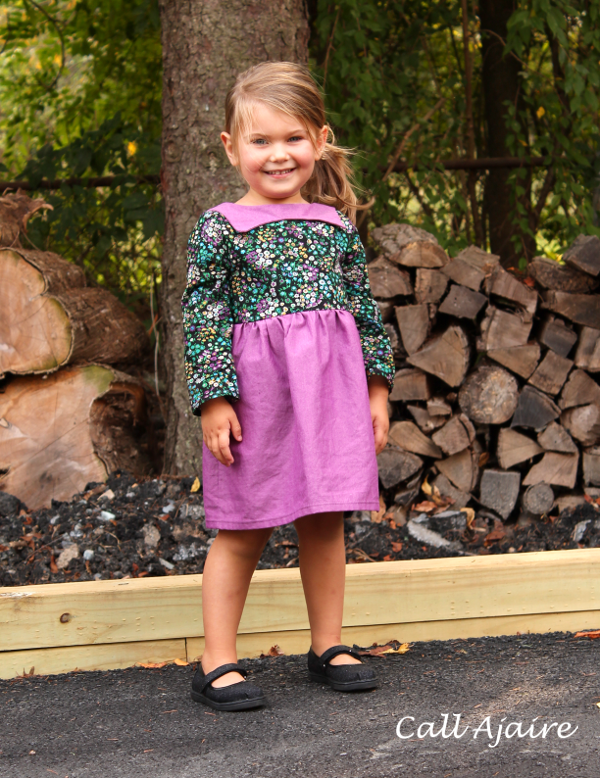 There’s one more dress pattern that’s worth jumping over for and it’s called the Modern Belle (*affiliate link). I am seriously in love with the poofy skirt sides and if it wasn’t for Selfish Sewing Week I would have tried to jump on that testing train too. That gif is hysterical ! These are fabulous, and bean COULD NOT be any more gorgeous. I mean. It's the tap dancing… isn't it?